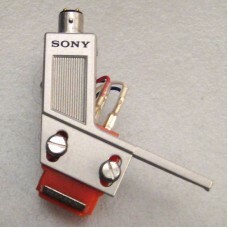 Vintage Sony headshell with XL 15A cartridge and ND 15A stylus. This item is used and is sold as is. Used Stanton headshell with Stanton 500 cartridge and stylus.Functionality of cart and stylus are un..
Used headshell with Grado FT+ cartridge and stylus.Functionality of cart and stylus are unknown.&nbs..